Edward Foster, policeman, fingerprint pioneer (b near Stittsville, Ont 14 Nov 1863; d at Ottawa 21 Jan 1956). 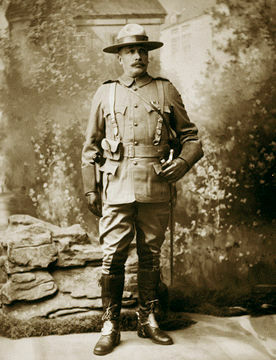 Foster joined the DOMINION POLICE as a constable in 1890. While at the St Louis World's Fair in 1904, his interest was awakened in the controversial science of fingerprint identification. Gilbert McMicken, businessman, politician, magistrate, police commissioner (born 13 October 1813 in Glenluce, Wigtonshire, Scotland; died 6 March 1891 in Winnipeg, MB). McMicken was head of the Western Frontier Constabulary, Canada’s first secret service, which was established in 1864 in response to the American Civil War. He was also the first commissioner of the Dominion Police, Canada’s first federal police body and forerunner of the RCMP, which was instituted in 1868 following the assassination of Thomas D’Arcy McGee. McMicken served in municipal government in Niagara, in the Legislative Assembly of the Province of Canada (1858–61) and in the Legislative Assembly of Manitoba. 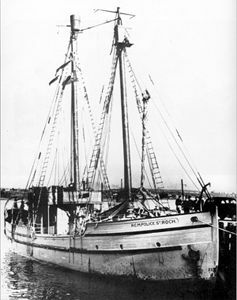 He was assigned as first mate to RCMP schooner ST. ROCH on her maiden voyage to the western Arctic in 1928; later that year he was made skipper, a position he retained until 1948. 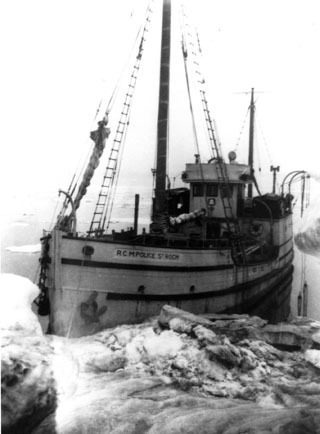 Under Larsen, called by the Inuit "Hanorie Umiarjuag" or "Henry with the Big Ship," the St.